The woman charged with shooting a Virginia State Trooper on Tuesday night says she did it. 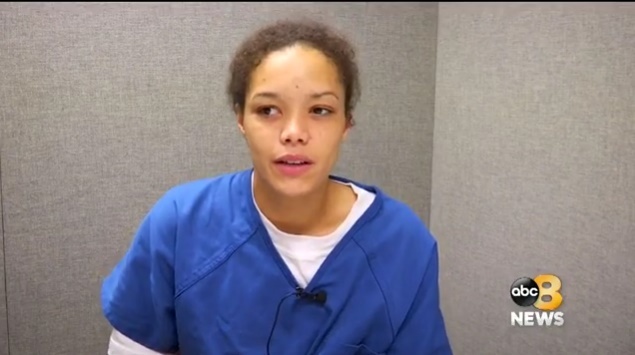 From inside the Henrico County Jail, Karisa Daniels told 8News reporter, “I was under the influence and I was extremely high and, you know, just sitting in here today I’m like what have I done.". According to investigators, Senior Trooper C.A. Putnam tried to pull the North Carolina woman over for going 87 miles per hour on Chippenham Parkway. She pulled over but took off when the trooper got out of his car. A pursuit ensued. The police pursuit ended miles later when Daniels found herself at a dead end in a cul-de-sac. There she says she shot the trooper in an attempt to escape jail. The trooper was hit in the arm. Daniels, 23, admits she is a convicted felon who was in possession of a firearm and was driving on a suspended license. She now faces a charge of attempted capital murder of a law enforcement officer.